Using food questionnaires, researchers tracked the eating habits of almost 150,000 people every four years for an average of 20 years of follow-up. Their analysis took into account age, family history, race, smoking status, initial red meat consumption and lifestyle factors such as physical activity, alcohol intake and diet quality. The study found that among those who ate more red meat as the study progressed showed higher rates of diabetes than those whose red meat consumption didn’t change. Consuming 3.5 more servings of red meat per week during a four-year period increased a person’s chance of developing diabetes by almost 50 percent in the subsequent four years. Those who consumed 3.5 less servings of read meat per week during a four-year period didn’t have a short-term reduced risk of developing the disease, but over the subsequent 10 years, reduced their risk of developing type 2 diabetes by 14 percent. The findings apply to both processed red meats, such as lunch meat and hot dogs, and unprocessed red meat, such as hamburger, steak and pork. 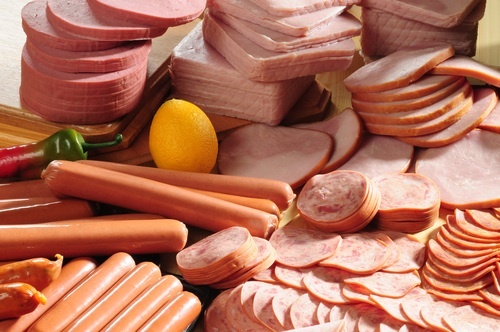 The association was stronger for processed meat. Some experts suggest that the high calories and fat in red meat are to blame for the association between increased consumption and higher risk of diabetes. Indeed, people who are overweight are more likely to develop the condition. However, even after the researchers controlled for body mass index and weight gain, the linkage between increased red meat consumption and type 2 diabetes remained. In an invited commentary in the journal , William J. Evans, Ph.D., head of the Muscle Metabolism Discovery Performance Unit at GlaxoSmithKline, and an adjunct professor of geriatric medicine at Duke University, suggests that the problem isn’t red meat, but the amount of saturated fat in the meat . The public-health message is to try to limit red-meat consumption (particularly processed red meat) and switch to plant-based food choices and more fish/poultry. While there is no cutoff point or recommendation regarding how many servings per week, the current evidence suggests the less, the better. The study is the first to look at red meat consumption changes over time and how it affects diabetes risk. Pan et al. Changes in Red Meat Consumption and Subsequent Risk of Type 2 Diabetes Mellitus. JAMA Intern Med. 2013;():1-8. doi:10.1001/jamainternmed.2013.6633. Evans WJ. Oxygen-Carrying Proteins in Meat and Risk of Diabetes Mellitus. JAMA Intern Med. 2013;():1-2. doi:10.1001/jamainternmed.2013.7399. Cutting Back on Red Meat May Lower Risk for Type 2 Diabetes. Medscape. 2013 Jun 18.